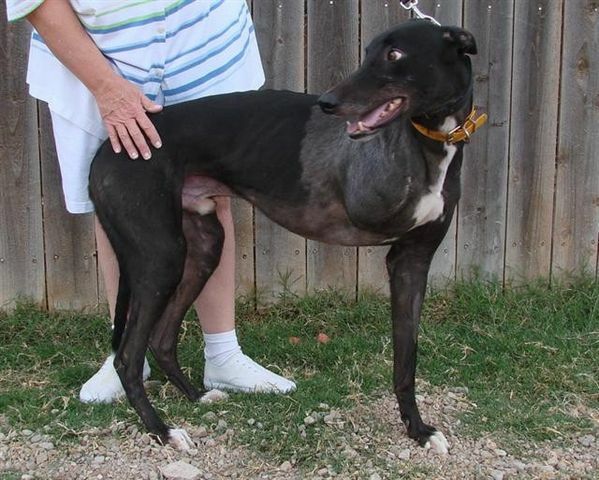 Dog race promoters often deny the sad reality of greyhound injuries. In public, they minimize the injuries that dogs suffer and claim that greyhound racing is an "extremely safe sport." We now know, though, that in private they are telling each other a very different story. According to an e-mail we recently received from the state of Arizona, in March 2012 Racing Commissioner Rory Goree sent an essay to dog track regulator Bill Walsh titled "The Checkmate Move." This essay was never publicly released by greyhound race supporters, and its name may be a reference to the fact that I am a National Master in chess. The Checkmate Move begins with an assortment of personal attacks and conspiracy theories about GREY2K USA, the same tired nonsense that greyhound breeders have been circulating for years. However, in an strange turn of events this section also includes a bizarre attack on documentary filmmaker Bill Buchanan, who is currently making Greyhound: Racing Into the Light. "The trailer is about as 'unbiased' as anything Leni Riefenstahl ever produced for the Third Reich. It remains to be seen as to whether or not the final cut of the movie will be equally 'unbiased.' I'm guessing 'yes.'" "It could be argued, and it seems to be the case, that today's racing greyhounds have outgrown and 'out-evolved' basic racetrack design ... This argument is precisely the 'checkmate move' that Grey2k will now attempt to make, knowing full well that even at racetracks where management would not prefer to suspend racing in favor of casino style gambling, nowhere is racetrack ownership about to undertake a complete re-design of their antiquated racetracks." "The public will be told that despite their arguments to the contrary, those who participate in racing are deliberately exposing their greyhounds to inevitable catastrophic injury by conducting competitions on venues that are grievously flawed in their basic design ... The track itself will be cast as the new villain, one which extracts a deadly cost from greyhounds, in the form of injuries which it is designed to produce." "The problem facing greyhound racing with that particular argument and defeating it, is that it will not be perceived as 'extreme' by the public. And that's because it's not extreme, as any keen student of the breed knows in their heart and mind ... it has become critical that those in racing engage in some real introspection and then some radical paradigm change ... there are real, tangible ways to reduce the incidence of injury. Racing has not maximized or even undertaken some of these methods, and Grey2k knows it." After reading this secret essay, it's clear why it was never published by dog race promoters. This is one of the greyhound racing industry's dirty little secrets: they know full well that today's dog tracks are "antiquated" and dangerous. This is yet another reason why we must continue fighting for the greyhounds. The racing industry can try to hide its cruelty, but in the end its denial will change nothing. Greyhound racing is cruel and inhumane, and on its way out. Thank you for your service. Bringing awareness to saving the Racing Greyhound is a wonderful thing. I have two rescued Greys myself.They make a great addition to the family. And yet if only the owners and breeders had been more concern about their animals. None of this would be an issue. But here we are faced with the fact that the owners, breeders, and track owners do not give a two hoots about the very animals that generate their stream of revenue. This industry has become a deplorable and and corrupt business. It has come to shutting the industry down. As it is both unwilling to reform and is quite willing to do all it can to fight against making dog racing safer for these wonderful soulful animals.